Dart drivers have threatened to shut down half the rail line over fears for their safety due to terrifying attacks by thugs in Dublin's "bandit country". They have notified Irish Rail they plan to stop trains travelling across Dublin's northside from Connolly Station to Howth after 7pm on Friday and over the weekend. Drivers told the Irish Independent they fear for their lives and have been threatened by gangs at knife point, and claim drugs are peddled openly on trains and stations along the route. They said security staff cannot cope with the attacks, which included the hijacking of a train in Clongriffin last month and a row after a recent Liam Gallagher concert. "I've rolled into Harmonstown station and there were 10 or 11 lads on the platform and every single one of them had bandanas and hoodies on. All you could see was eyes. "I'm intimidated. I start to get stressed. I start to get anxious because I don't know what they are going to do on the train. "I'm the driver and I'm locked in my cab. What about the passengers who are on the train and see them get on?" 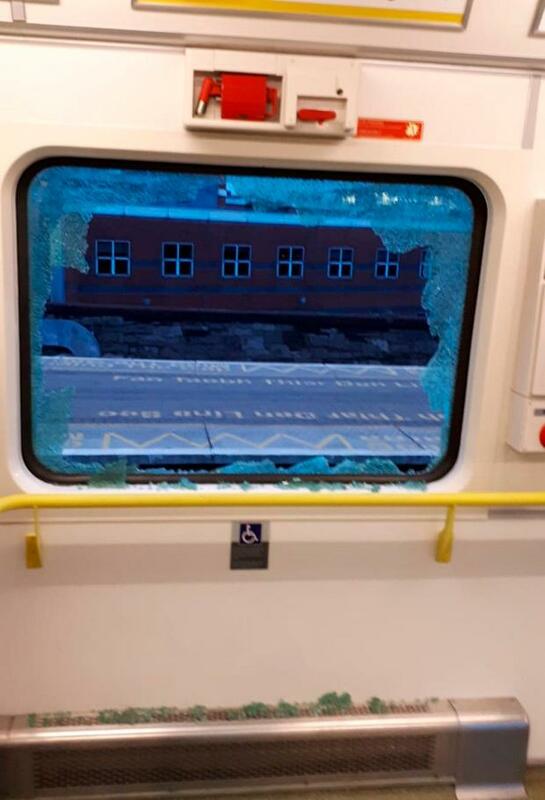 Eric Rooney, who was driving Clongriffin train when it was attacked, said he or a passenger could have been killed when a rock was recently hurled through a window. He has also been threatened by a drug addict and flasher with a knife. Mr Rooney said there was a cocaine epidemic and gangs and drug users are using the service to get free wi-fi and heating, especially in winter. "They even have the cheek to plug in their phones," he said. "They just run the route. These young kids are running around like wild dogs. "It's getting worse. I was on the train at Clongriffin Station and there was nobody around. "And then it was like somebody said on a radio 'right, go' and 10 youths sprang out of nowhere. "They put wood in between the door so the door wouldn't close. You had six lads spraying the train. You had two lads with big lumps of wood shouting at passengers not to move. "They took the whole train hostage. And this is what you won't hear in the reports - a second gang came on the scene to spray the train and started fighting with the first gang. He said a staff member shielded a pregnant woman who was screaming. The driver said there was security at the station every night for a week but after that there was nothing, and they were "back to square one". 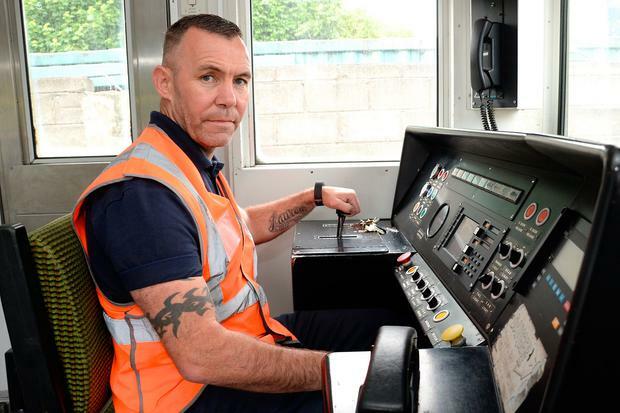 Last week, a signalman had warned him about a gang of stone throwers at Kilbarrack and on his return journey there was a fire at the station. Mr Curran said a gang who kicked the train at Harmonstown station got out at Kilbarrack but wouldn't let him close the doors. He said he has had to wait up to 40 minutes for security to arrive, but they don't have powers to remove people from trains or stations. The drivers said ticket checkers will not work on the northside line at night, and called for a dedicated transport police force. In a letter to Irish Rail's regional manager John Reville, Siptu organiser Paul Cullen warned that short-term security measures are not enough. He said previously there was substantial security on all late night Darts and even dog handlers. "It would not be in anybody's interest or indeed we would not like to see a return to a situation where such services were to become 'no go' areas," he said. Irish Rail said there was a number of stone throwing incidents in north Dublin over the past couple of weeks but these have eased, and it is putting extra security in place. "It is an issue which unfortunately does grow in the summer months, and we address with targeted security," said a spokesperson. Transport Minister Shane Ross's spokesperson said he is looking into the possibility of transport police with the power of arrest, although this would require legislation and extra resources. The minister is asking his officials to engage with the company and Railway Safety Advisory Council to explore "the adequacy of current policing arrangements".